This sounds awesome. 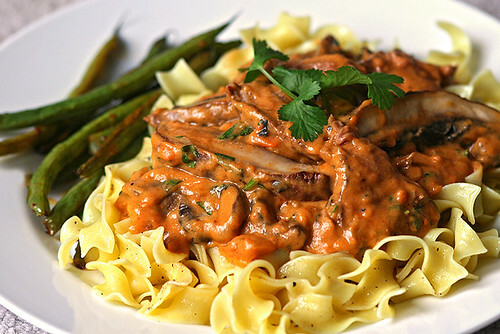 I shall be making my very own stroganoff tomorrow. I can’t wait! Yes, it’s a fantastic dish. I’ve had many a stroganoff.. and made a few, but I think you’re really on to something here. I find the meat versions quite rich and yours sounds so much lighter. I’m used to the traditional beef stroganoff myself, so yes, I was pleasantly surprised how good it was even without the meat. Also, I believe using yogurt instead of sour cream was the key to a lighter sauce. Thank you for visiting.